Hey, there! Look no further if you want a sweet, playful, precious, very loving kitten to become part of the family! We are all right here at the shelter waiting to be adopted. There are quite a few of us — ages 12 to 14 weeks old. We are all vet-checked, spayed/neutered, and we have all vaccinations — we are ready to go! Come in and get to know us! Sugar Stix came to us on 8/8/2013 at 5 weeks of age. She is spayed and has had all her vaccinations. Sugar Stix is litter box trained, very sweet and lovable, loves to play and is a great joy to watch her play with the other kittens. 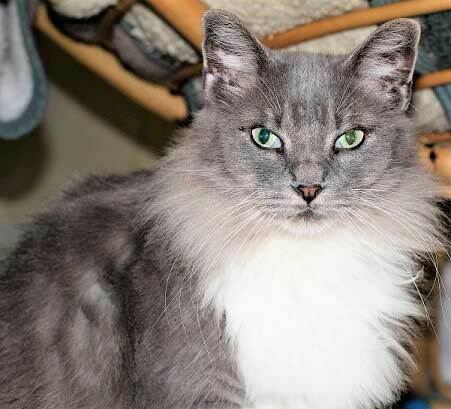 Raven is a beautiful 5 year old spayed medium hair. She is litter box trained and loves people. Loud noises scare her but she likes other cats and older kids. Raven is a very precious girl. She is pretty laid back and loves lots of attention. Red Bone came to the shelter in 2005. 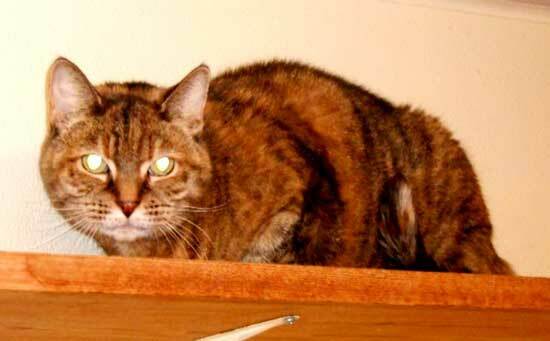 She is now a spayed 14-year-old Torti cat. She is a little shy at first and she needs to get to know you, but then she will come for a visit. Lightning is 6 months old, neutered and litter box trained. He is a little bit shy and gets nervous in new situations. He takes his time to get to know someone and will need a very special person that will understand this and let him be who he is. 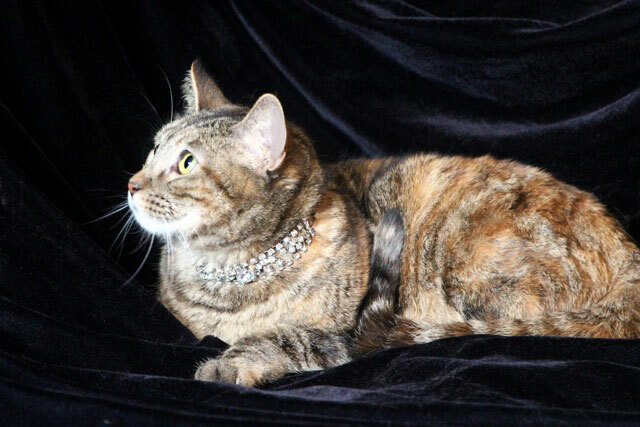 Rosie is a beautiful 19-year-old spayed DSH. She gets along with other animals and she can be a little shy at first … but she warms up to you quickly. Hi! I’m Jeremiah. I am 6 years old (as of Jan. 2018) and neutered. I get along with just about everyone! 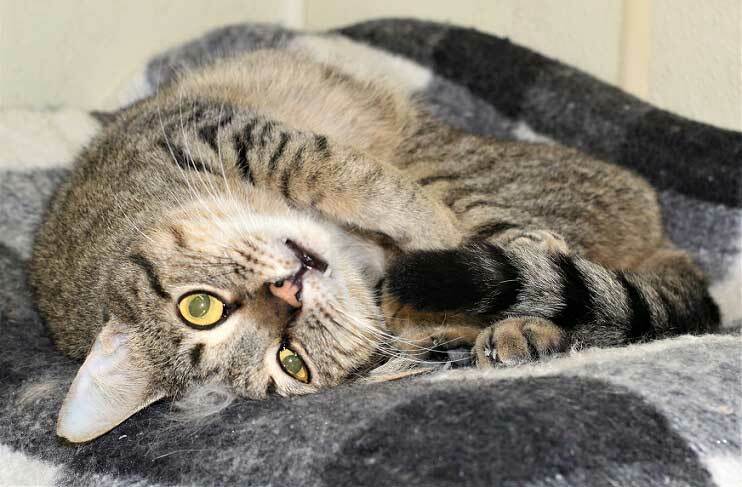 I am a wonderful kitty and just need someone to take me home and snuggle with me! I’m Lilly, an 8-1/2 year old spayed lady. I can be a little shy and independent at first, but when I get to know you a little better I would love to sit in your lap and be loved. 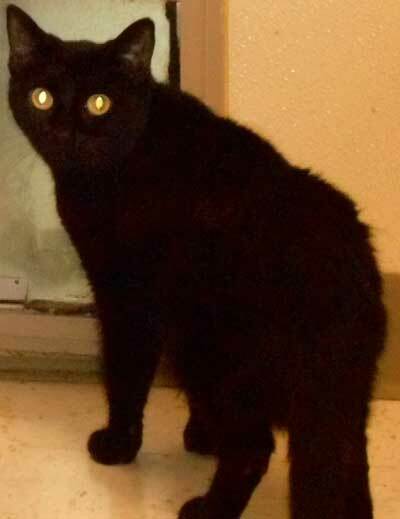 Kitty Gaga is my name and I am a 2-1/2 year old spayed shorthair. I like to be independent and visit with people on my own terms. I can be very sweet and loveable … just give me a little time. I like to move to my own schedule. Hi! 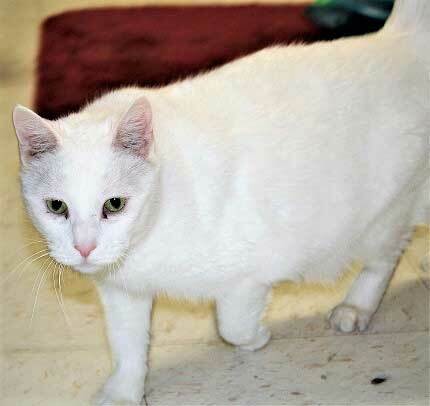 I am Margo and I am one of the older kitties here at the shelter. I am 11 years old and spayed. I can be a little shy at first, but please do not walk away … talk with me and let’s get to know each other. I am not a kitten so I won’t climb the curtains … which I see that as a plus! My name is Patricia! 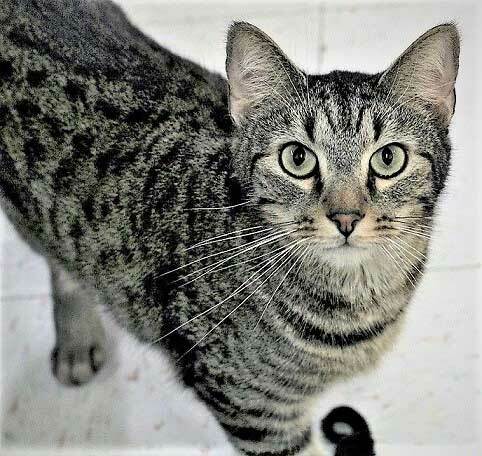 I am an 8 month old spayed Tabby shorthair. I am a little shy at first, but I am starting to come out and visit to be petted, sit on laps and snuggle. I came in to the shelter on 9/20/17. Come in and visit with me so I can get to know you! (Kittens Jan. 2018): Our names are Saber Tooth, Night Wing and Tater Tot. We are some of the 4-6 month old kittens at the shelter right now. Yes, we are very adorable, playful, sweet and very loving! Come on in and visit with all of us! They call me Holly! 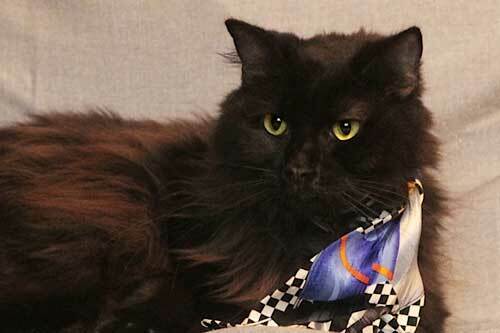 I am a very sweet and precious 1-year-old spayed medium hair Kitty. I came in 12/20/17 at 6 weeks of age. I am a little shy at first, tending to stay in the background watching and getting a feel for things. When I have been around you enough, I do come over for some petting and loving. Given the chance, I will be a totally awesome cat! Stop by and see me please! Hi! Ruggles is my name. 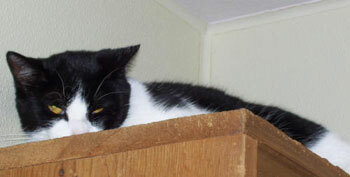 I am a very sweet, precious and very handsome 3-year-old neutered little boy. I came in to the shelter on 8/9/18 with nasty cuts on my back left leg, and these nice people have taken excellent care of me. I am a very chilled and laid-back cat. My favorite thing is to lay in the kitchen window and catch some rays. My name is Holstein. I came to the shelter with my sister Cali on 8/30/18. Our owners could no longer care for us. I am 3 years old and neutered. I am a very sweet and laid back cat. 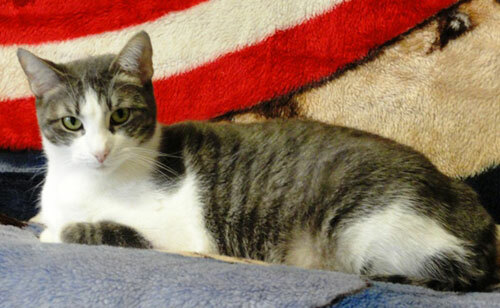 I am pretty friendly, playful, outgoing, and I do like a nice lap now and again to curl up in! They call me Bobbi. 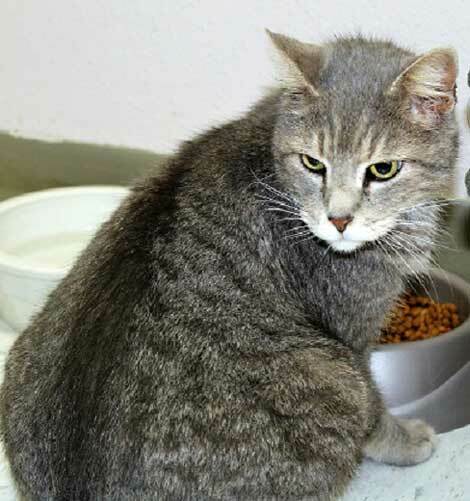 I am a very sweet and laid-back 8-year-old Bobtail neutered male cat. I do like lots and lots of petting and love making biscuits! I get along with other cats. My name is Alice and I came to the shelter on 5/19/2012 as a 2 month old, very scared and shy little kitten with a big abscess on my elbow. These nice folks took excellent care of me, even though I did not like them at first. 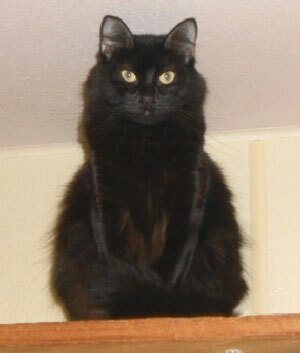 Now, as you can see, I am a beautiful medium hair cat. I still am a little shy and scared of new things at first, but after awhile I adjust great and I love being petted, held and hearing you talk to me. Sugar Britches came to us on 5/14/2013 at only 8 weeks of age. She is now a beautiful 7 month old spayed grey multi-colored shorthair. She is litter box trained, gets along and loves to be the center of attention and play with lots of bells and fuzzy mice. Spitfire came to us on 10/8/2010. She is 7 years old and spayed. 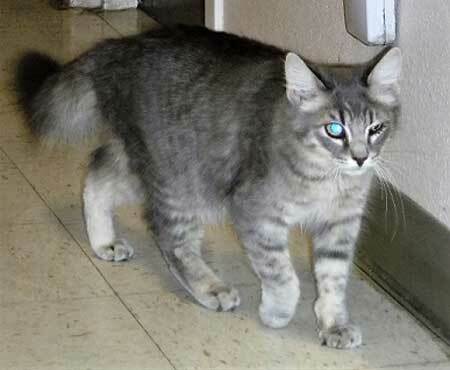 She is litter box trained and gets along with other cats. She is a little shy at first, but let her get to know you and she is sweet and loving. 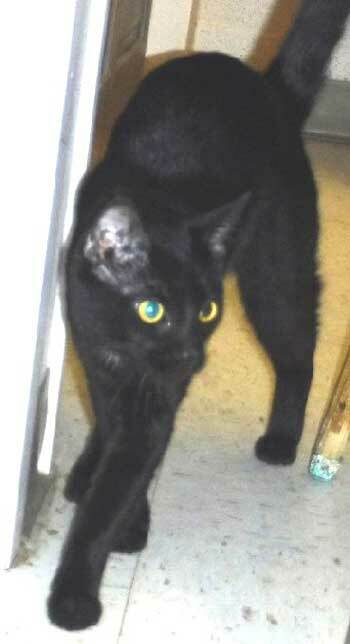 Sapphire is a sweet and precious 9 month old spayed DSH. 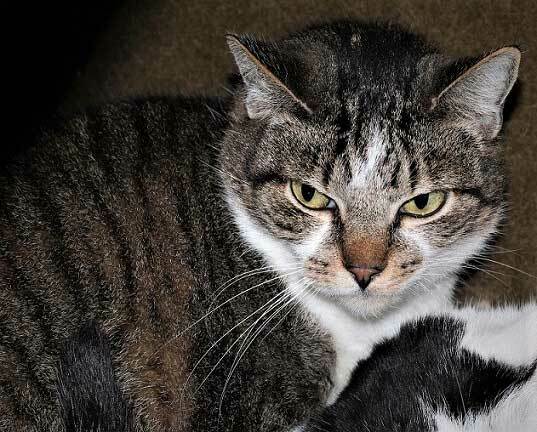 She is very loveable and gets along with other cats. Calvin came to us on 4/20/2009 at 5 weeks of age. 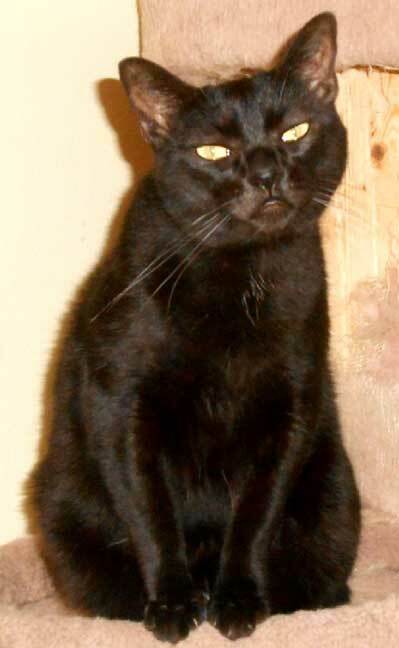 Calvin is litter box trained, frisky, loves to play and he is full of love and tenderness. 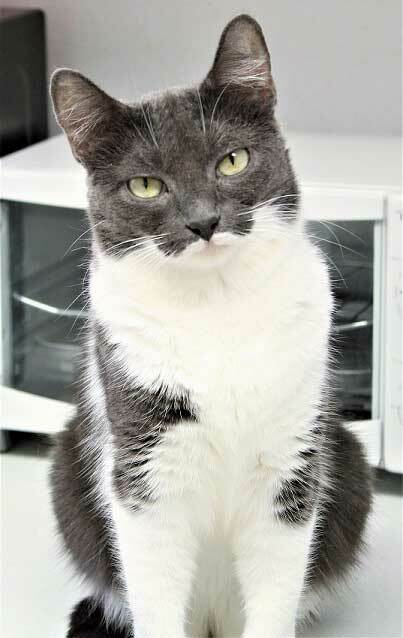 Boots is a six year old domestic short hair who has spent much of her life outdoors until she luckily found a home at HSK. She is a little nervous around young children and prefers older people. Jitter Bug is another of our young kitties. He is a neutered DSH. 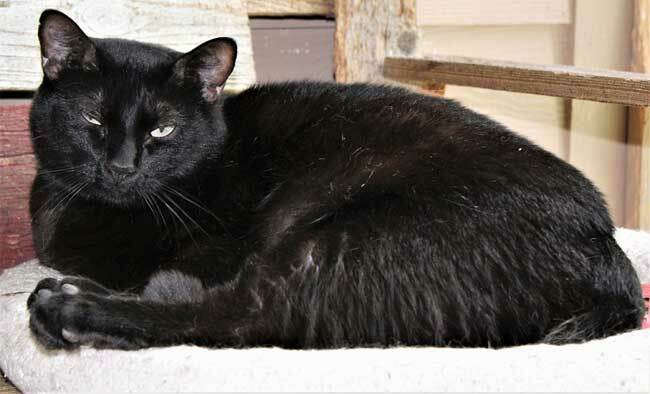 Jitter Bug is what we lovingly refer to as a snuggle bunny … he loves to nuzzle in your neck and give kisses. Ringo is a 1-1/2 year old neutered DSH cat. He is a little shy at first, but warms up quickly. Ringo loves to be petted and on your lap. Hey, everyone! My name is Sasha and my sisters are GiGi and Jada. We came into the shelter with our momma on 4/28/14 when we were just 8 weeks old. Now we are beautiful, spayed, 10 month old beauty queens! By the way, we do not need to be adopted together. We are playful and we love to chase fuzzy mice and balls around. We get along with the other cats in our room, so we are pretty friendly! Our favorite thing is when people come in to the shelter to see us and pet us! We just purr and purr and purr. Hi, Everyone! My name is Peanut and I came to the shelter on 1/5/2017. I am 4-years-old and I am spayed. I am a little shy at first, so please give me some time to get to know you. I am pretty loveable! When I am picked up, I will just sit in your lap and let you pet me … that feels so nice! I was an only cat, so I get nervous around other animals. 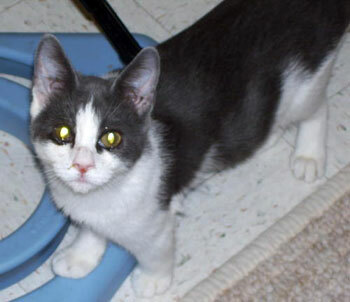 I am a sweet, sassy, frisky, full of energy 6-1/2 month old spayed kitten. My name is Catalina and I am just an all-around wonderful baby! What more could you ask for!? 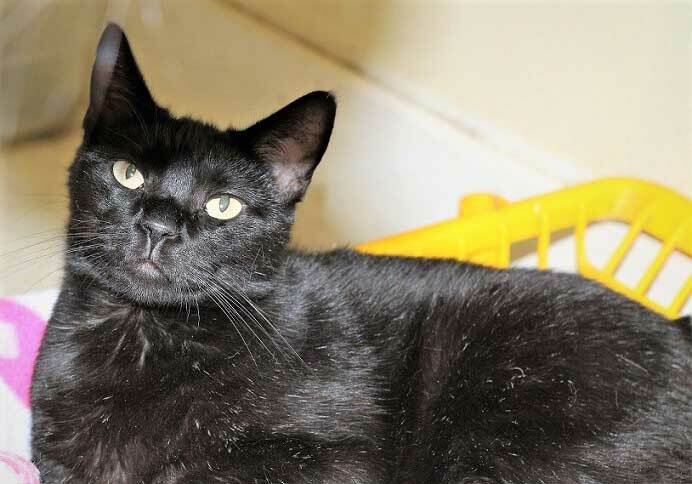 I am Usher, a 3-year-old neutered shorthair. I came to the shelter on 4/29/15 with my brother, Ceelo. Like my brother, I don’t sing but my purr is perfection, if I say so myself! 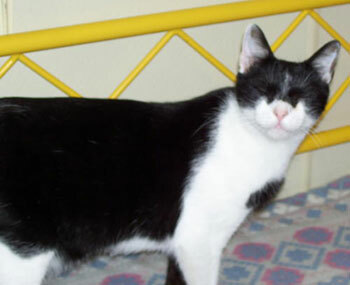 I am ready for a forever home and I would like to fill that home with my special musical purr. Hi! 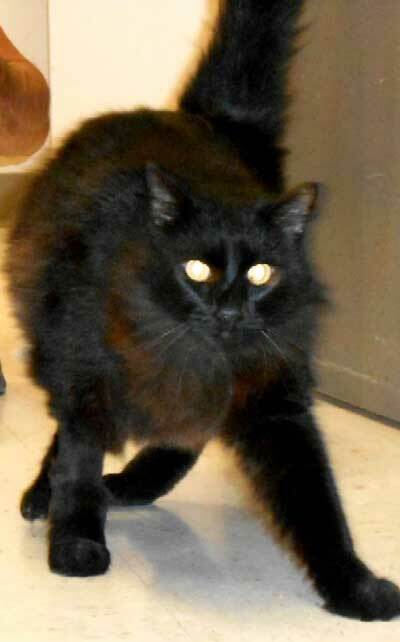 I am Fuzzy Pants, a 2-year-old neutered sweetie! I came to the shelter on 8/5/2016 with my momma when I was 6 weeks old. I am somewhat shy at first, so that is why I am still here/ I only need someone to give me a chance. I would like to be able to show you how much of a great kitty I can be! Come visit! Jingles is my name! I am a very sweet and precious 1-year-old neutered baby. I was 9 weeks old when I came in on 12/20/17. I love to play with toys. I am a little shy at first, but with a little bit of time, curiosity gets me and I come out and start rubbing on your legs looking for you to pet me! Come by and visit awhile! Hi, everyone! My name is Miss Stella! I came in to the shelter on 12/11/18. 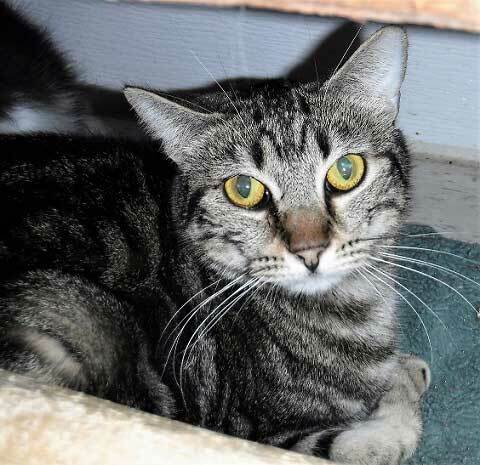 I am a very beautiful, sweet, laid-back 4-year-old spayed mediumhair Tabby. Are you looking for that just right lap cat? Well, here I am at the Humane Society! Just give me a lap and I am happy! I do get along with other cats. Come by and see me! 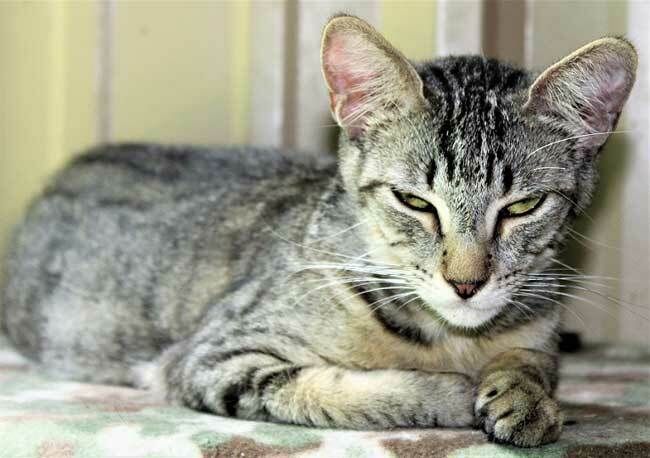 Milkyway is what they call me because I am an out-of-this-world and one-of-a-kind 3-year-old spayed Tabby. I came in to the shelter on 12/11/18. I am a little bit shy at first because I like to get to know people and surroundings first. I am very sweet and loveable and I really like pettings. I am good with other cats. All you have to do is give me a chance. Stop by and let’s get to know each other! 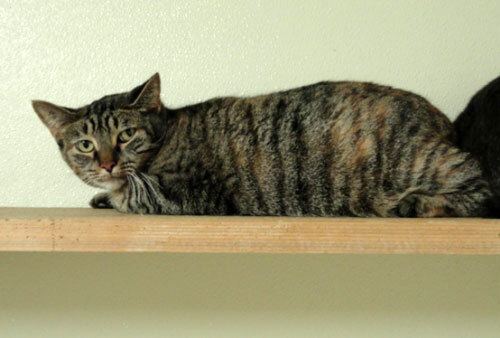 Cleo is a very sweet and laid back 5 year old spayed tabby short hair. She is litter box trained and gets along with most other cats. 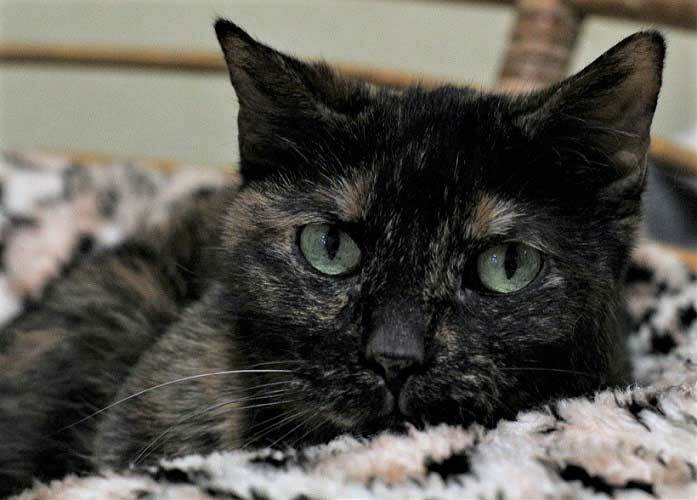 She is a little shy at first, but she warms up to you and loves lots of petting. 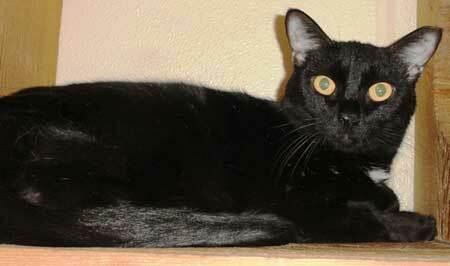 Mocha is a wonderful 2 year old spayed black Shorthair. She is litter box trained, gets along with other animals, loves petting and sometimes she just likes to be by herself. Oreo Two is a 1-1/2 year old spayed shorthair. Oreo came to us on 9/27/2012. She is litter box trained and she is good with other cats. 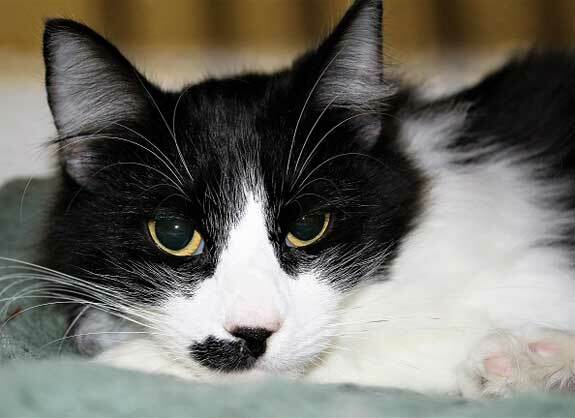 Oreo is shy around people at first but she loves to be petted. Jacquelyn is a very sweet and loveable cat. 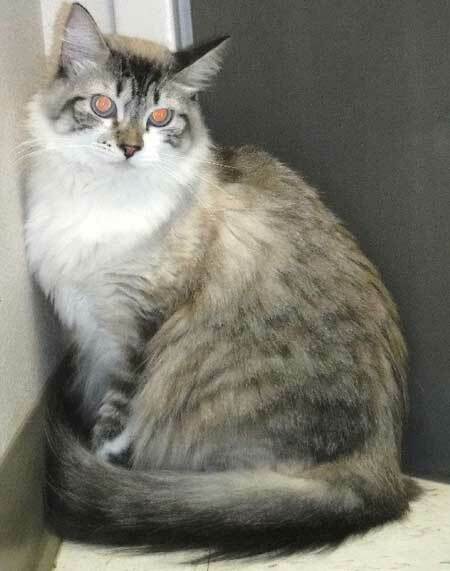 She is 1-1/2 years old and spayed. She is litter box trained and loves to be held and petted. She will need to be the only cat, as she likes all the attention for herself. 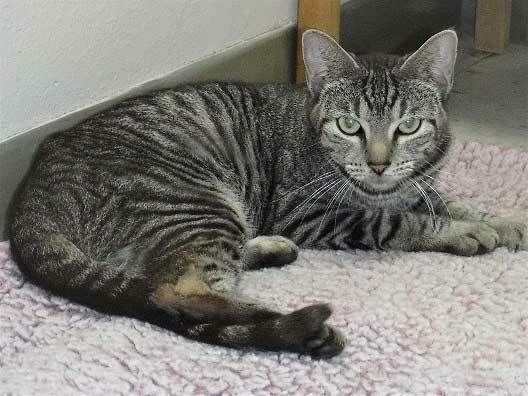 Sheba is a sweet 5 year old spayed brown Tabby. She is litter box trained and gets along with other animals. Sheba is very shy at first but she loves to be petted. 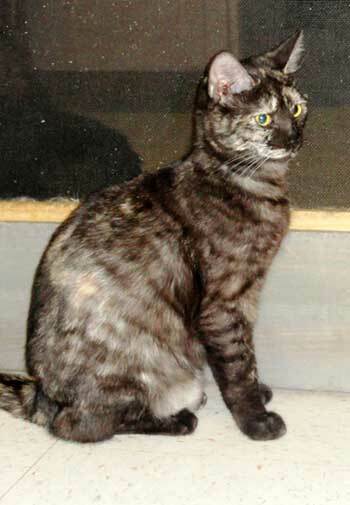 Crystal Gayle is a 1 year old spayed brown Tabby. 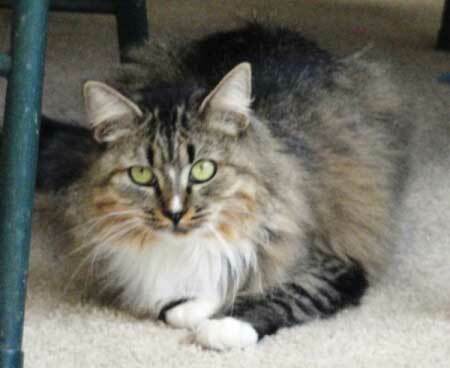 She is litter box trained, gets along with other cats, and she likes her independence. She will come to you but it’s on her own terms and conditions. 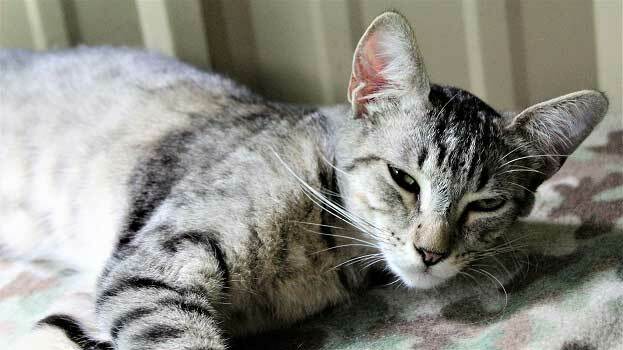 Rocky is a great 1-1/2 year old neutered DSH cat. He is loving, playful, and energetic, and he gets along with everyone. But as you can see, he closes his eyes for pictures! 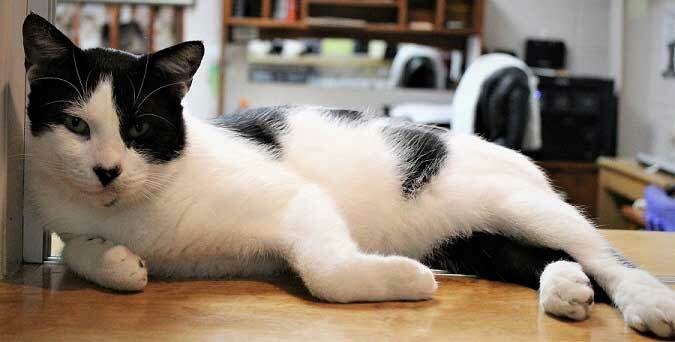 Tashi is a sweet 1 year old spayed black & white cat. She is affectionate and loves to play with toy mice. 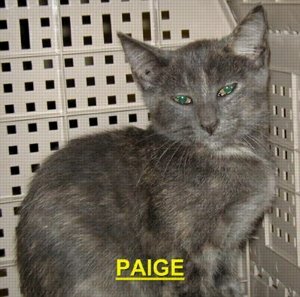 Paige is a 1 year old spayed female. It has taken some time for her to trust us. Now she is a very friendly cat and likes to be brushed. Hi! I am Phoebe and I came in to the shelter on 3/13/2012. I am 2-1/2 years old and I came in with 4 of the most adorable little ones you would ever want to see. I am what you would call an independent cat. 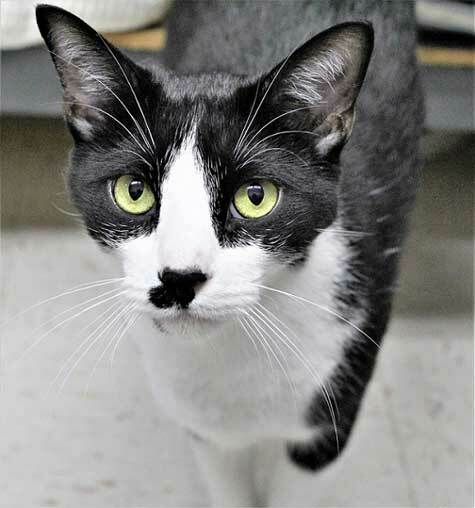 I am a little shy meeting new people, but I am curious so I will come to you for petting. Given some time to get accustomed to new surroundings, I do get comfortable and will get in your lap for some wonderful loving. Hi, Everyone! 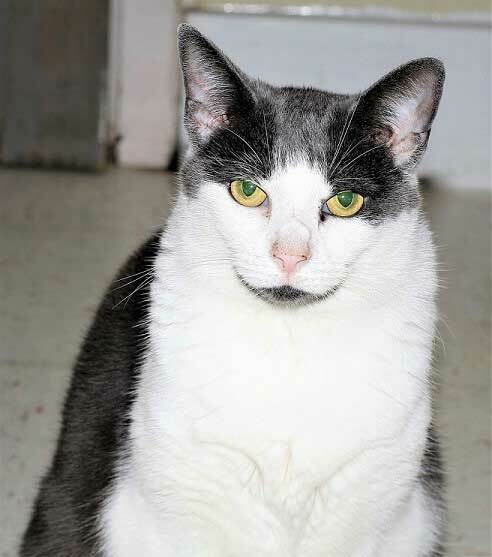 I’m Betsy and I came to the shelter on 7/22/2011 when my owner passed away. 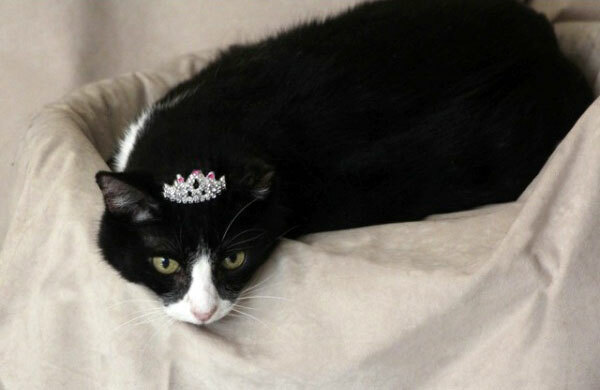 I am 9 years old and am a mellow cat. I can get a little bit shy but I do like to crawl into your lap for petting. I do like to have my alone time so do not get discouraged with me … I just do my own thing. Midnight is my name and I love having fun. I came here on 5/4/2012 and am now 2-1/2 year old. I play with my friends and toys. I love when someone comes in and brushes me cause it makes my beautiful black fur so very nice and shiny. My favorite thing is to have a good cat nap…you can never have enough of those! 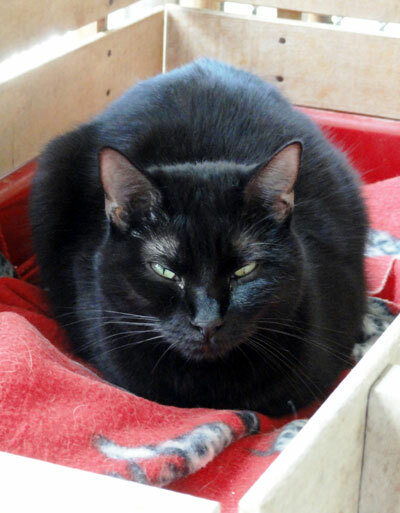 I am Niki, a beautiful 3-1/2 year old spayed Polydactyl (which means I have extra toes on my front paws). I am pretty independent and a little shy, and as you can tell by my picture I keep myself beautifully groomed. 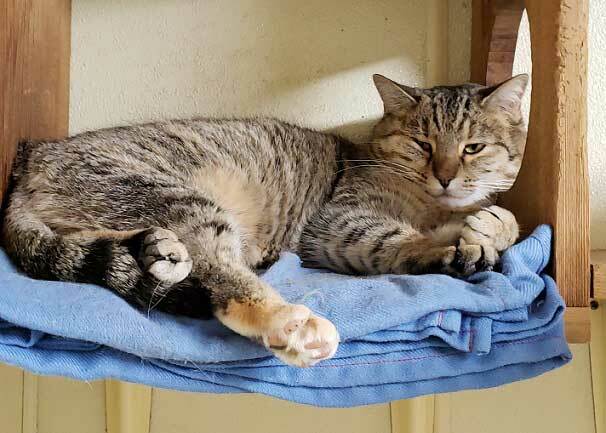 I am looking for a forever home where I can lay in the rays of sunshine, have a few toys to play with, plenty of good food and water, and someone to just talk to me and give me the chance to adjust in my own time. Come by and visit with me. My name is Missy. 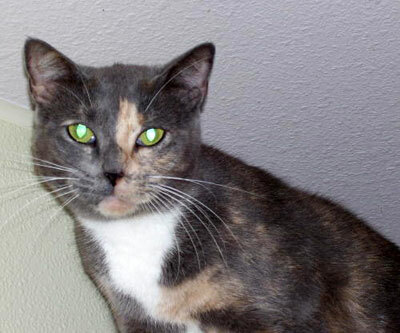 I am 6-1/2 years old, spayed and looking for a home where I can just chill and be my independent self. I came to the shelter on in 2010. While it is nice here and they take very good care of me, I would just like a home of my very own. Please come by and visit with me! Faline is my name. I came to the shelter on 3/23/2018 as a soon-to-be momma. I am a 1-year-old Tabby and had my babies on Easter Sunday 2018. It is 5/23/2018 and I am an empty nester now. Of course, I am spayed and have all my shots. I am a little bit shy at first. I am looking for a wonderful person to cuddle and love me. Please stop by and visit! Hi, Folks! We are Indira, Keika, and Milan — three sisters that were left at the Humane Society because no one wanted us. 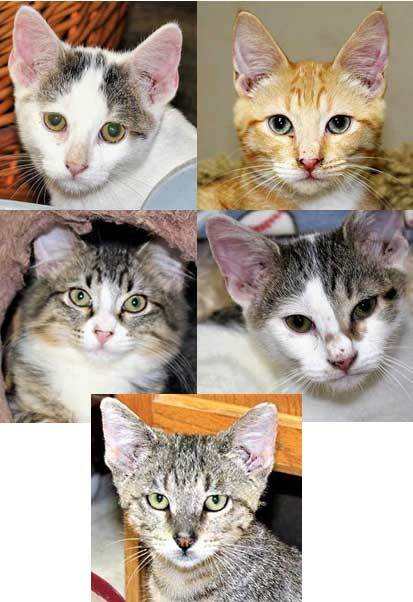 The great folks here took us and had us all spayed and vaccinated, so we are ready for a new and loving forever home! Naturally, we are very sweet and wonderful loving kittens. We do not have to all go to the same home. We are just loving three sisters looking for loving homes for each of us, together or separate. Mocha is my name. 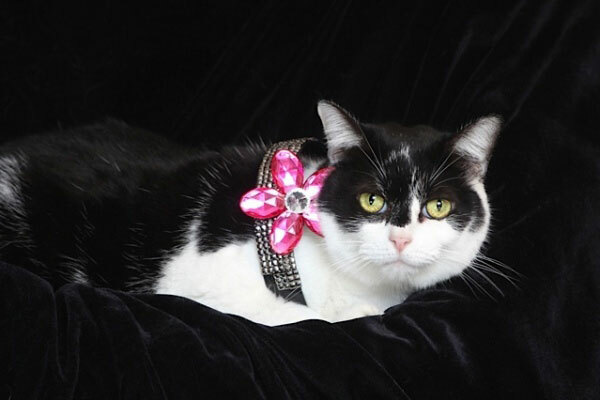 I am a gorgeous 9-year-old spayed female shorthair. I am a little bit shy at first, but I can be very loveable. Loud noises and lots of commotion tend to scare me. I would like a calm, mellow home to call my own. Hi! I’m Trooper. 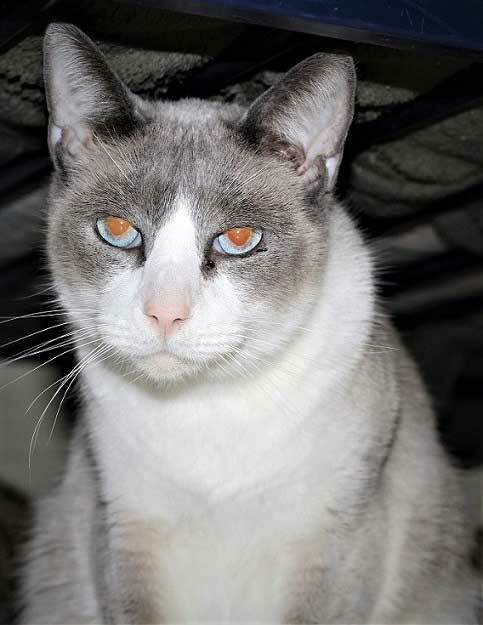 As you can see, I am a very handsome 1-1/2 year old neutered Siamese Mix. I have to admit I can be a little shy with new people at first, but given just a little time I warm up to you and then I will love to be petted and brushed. My favorite toys are fuzzy mice and little bell balls. 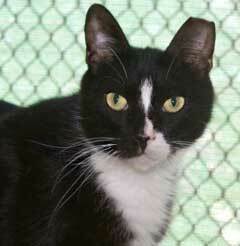 Eddie is a neutered 1-1/2-year-old Black/White DSH. He is a little shy and nervous of new situations at first but once he gets used to things he loves to cuddle near you. Margo is a nice grey Tabby. 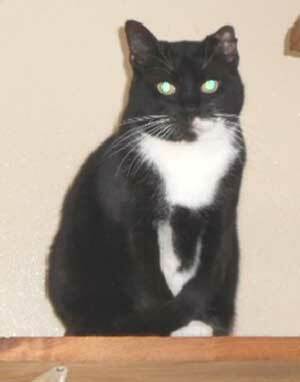 She was rescued by a kind lady who made sure she was in good health when she came to live at HSK on 1/24/06. She likes other cats and is good with children. She loves to be petted! Sarge is a great cat. He is 3-1/2 years old and neutered. He is a little shy but quickly adjusts to new situations. 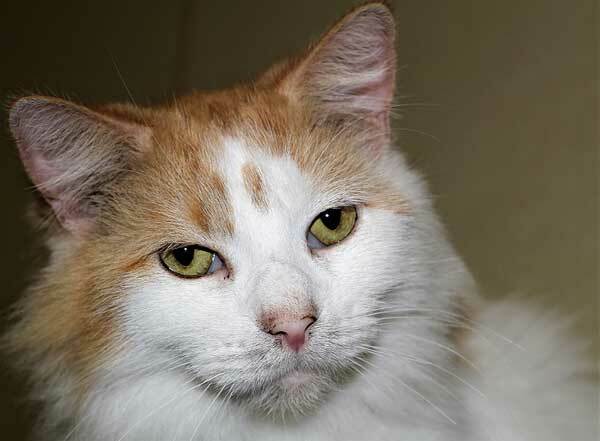 Sarge gets along with other animals but would enjoy a quiet home life. 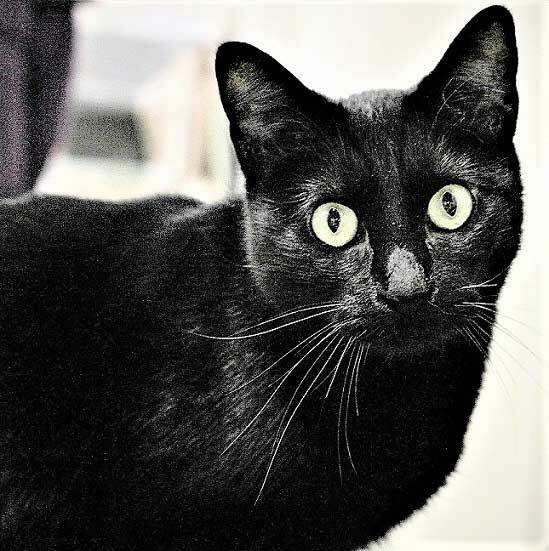 Zuri is my name and I am a very sweet (and a little bit shy) 1-year-old gorgeous black spayed cat. I was a mama to four babies who are all gone, so I am an empty-nester now. 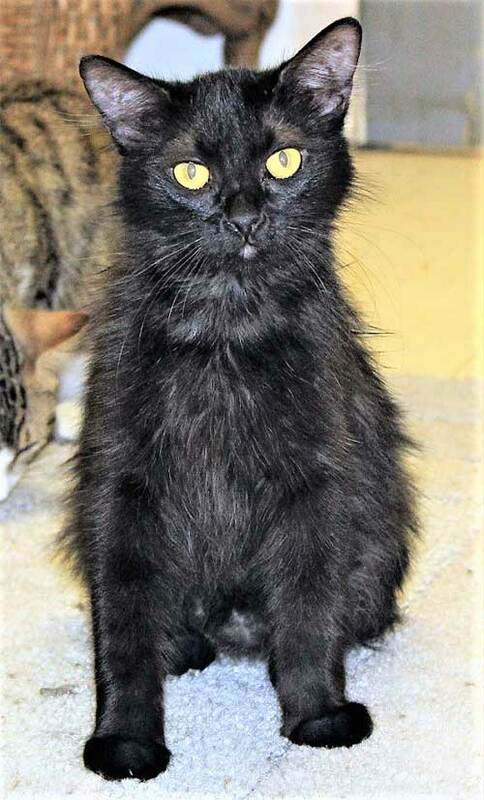 Do not let old wives’ tales discourage you from coming in and adopting me just because I am black — I am beautiful and you will fall totally in love with me! I am Rocco, a 1-1/2 year old neutered hunk of a kitty! I came to this nice shelter on 6/18/2014. I am a little shy at first and I like to get to know a person before I commit (but then, that is the way we all should be). After I know you then we can snuggle, hang out, shoot the breeze, play with a few fuzzy mice and really just have a great time! My name is Shakeria! I came to the shelter on 6/2/17. I am a two year old Siamese mix and, of course, I am spayed. I am a tad bit shy at first, so I will need time to get to know you. I want to be loved and petted on but I just don’t know how to go about it just yet, but I am learning. I had a pretty rough life, so please be patient and I will be a wonderful companion. Hi! My name is Bono! 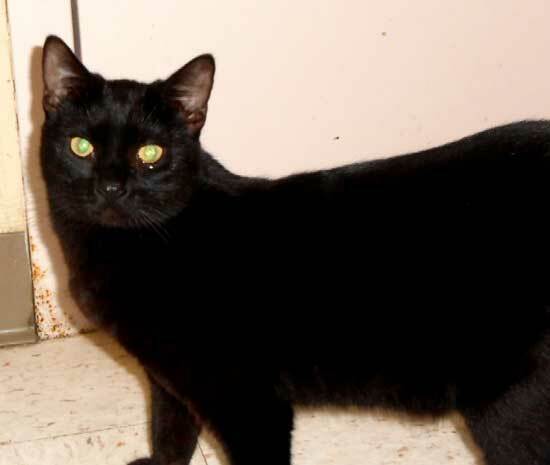 I am a very sweet and laid back 2 year old beautiful neutered Black Cat. I came to the shelter on 8/15/17. I am litter box trained and my hobbies are playing with toys, eating, and taking nice long naps. I am also looking for a great forever home! 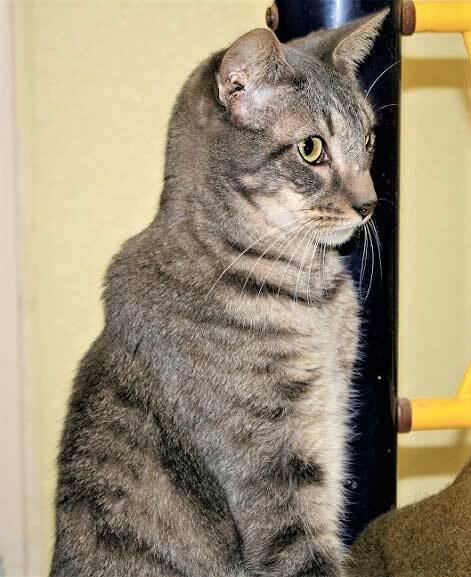 I am Erogon, a very sweet (little bit shy) 3-year-old spayed shorthair. I have been at the shelter since 9/1/15. 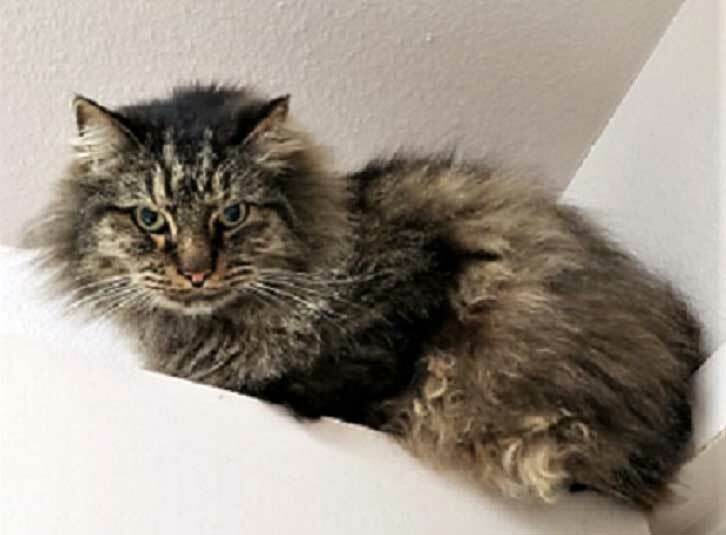 I am a tad bit shy when you first walk into my room, but once you come in and start talking and petting the other cats, I will then come over wanting some of that loving, too. Come by and see us! They call me Boris! I came to the shelter on 8/12/16. 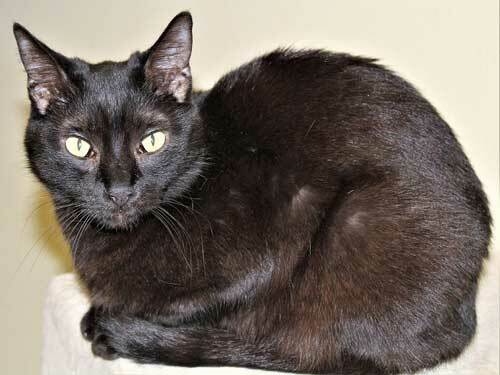 I am a 2-year-old shorthair and a very sweet, loveable cat. I am looking for that forever home. Will you be the one to give me the chance I deserve? Come by and visit with me! Nikita came to us on 5/30/2012. 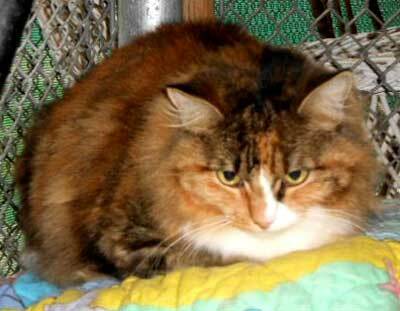 She is six years old, spayed and litter box trained. Nikita is a very beautiful cat. 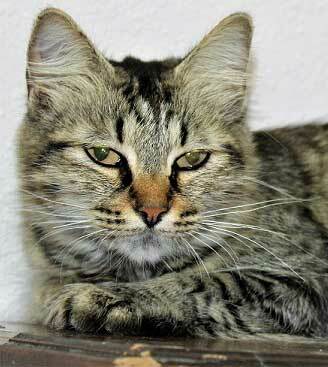 She loves to play and have fun with the other cats, and she is very affectionate. They call me Fluffy! I came to the shelter on 1/10/2019. 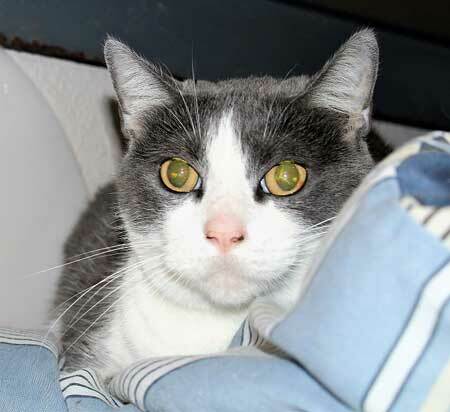 I am an 11-year-old spayed Grey/White Shorthair. I tend to be shy at first, since everything is so new to me. I have been with my owner all my life, but she got to the point where she could no longer care for me. I am in good health. Being that I am older, I am pretty laid back. I just need time to adjust to new situations. Are you that special person that will give me a chance for a loving, forever home? Come see me and let’s visit! Blackie is what I am called. 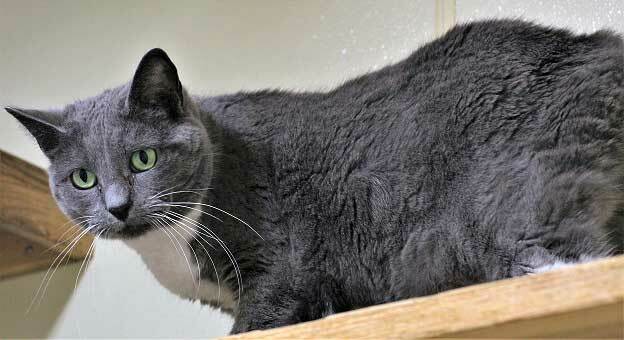 I am a very sweet, laid-back 12-year-old spayed female shorthair. I love lounging in sunshine beams, taking long naps and getting lots of loving. And I don’t mind other cats. My name is Kahula. 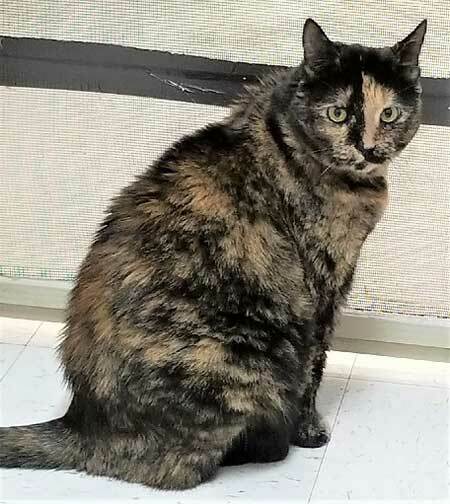 I am a 13-year-old spayed and declawed female Torti shorthair. I am more comfortable around women. I am just a little bit shy at first, since I am used to being the only animal in a quiet home. Come in and visit with me. 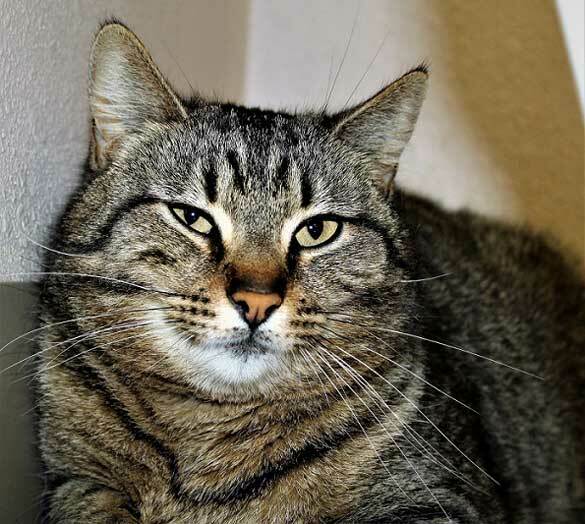 I am Jingles, a very sweet and precious 2-year-old neutered male cat. I love to play with toys. I am a little shy at first, as I like calm and quiet places. I do adjust pretty quickly and really enjoy lots of petting! Come see me!